The familiar landmark of Belfast Castle, overlooks the city from a prominent site 400 feet above sea level on the slopes of Cave Hill. This magnificent sandstone building, recently restored by Belfast City Council's Parks Department, has close associations with the city's history. 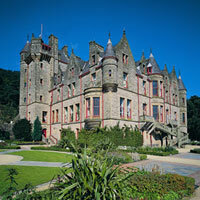 The first 'Belfast Castle' was built by the Normans in the late 12th century. On the same site a stone and timber castle was erected in 1611. The home of Sir Arthur Chichester, barron of Belfast, was burned down in 1708, leaving only street names (eg Castle Place) to mark the site. consist of a choice of 2 main courses, 2 sweet and Tea/Coffee. Overhead projector, Screen, Flip chart & pens, 35mm Carousel slide projector and Public Address System. 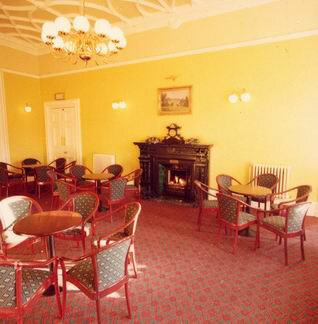 Choice of syndicate/breakout rooms - these should be requested at the time of booking (if possible). 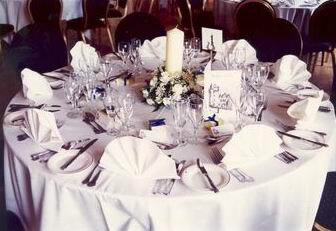 Private facilities also available for dining. Photocopying and faxing are available for a small fee. Please ask at reception for further details. 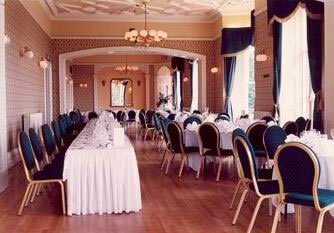 The Belfast Castle can arrange for the hire of any other equipment from our local supplier.